Hoffman’s has revamped the Guide boot, making this pac boot a hunter’s necessity. We have added a layer of 200 gram Thinsulate into the walls of the rubber to provide additional warmth. Next, a 9mm felt insole has been inserted into the foot bed to limit the amount of cold coming through the bottom of the boot. An additional 200 gram or optional 400 gram Thinsulate liner woven with a 3mm felt and Cambrelle is added to complete the insulation in the Guide. 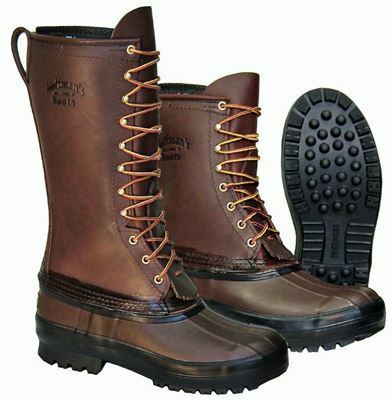 A stout and supportive upper made here in Kellogg, Idaho with premium 7 ½ ounce oil-tanned leather and solid brass hardware complete this wonderful boot. The Guide is available in 10", 12" and 14" heights and is rebuildable for years of service. Made in Kellogg, Idaho. The Hoffman Double-Insulated Mountaineer is the warmest pac boot we offer. The rubber shell features 200 grams of Thinsulate in the walls of the rubber, plus an additional 9mm felt insole imbedded in the foot-bed to help prevent cold from penetrating the bottom. 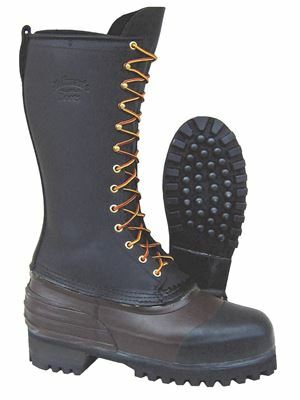 A removable 9mm felt liner with a moisture-absorbing polypropylene backing is added to complete the insulation in this boot. We’ve added a heavy 7½ oz. oil-tanned leather upper that was made here in Kellogg, Idaho to the rubber shell that conforms to the leg. Solid brass hardware and no-nonsense lacing completes this boot. 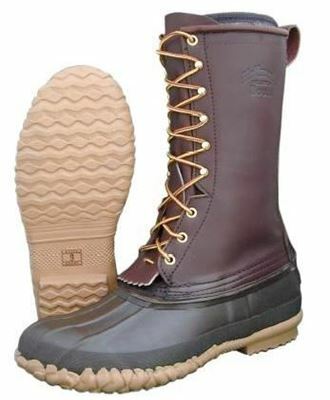 The Hoffman Double Insulated Mountaineer is an excellent choice for the outdoorsman needing a warmer boot during periods of cold temperatures or low activity. Made in Kellogg, Idaho. The Hoffman Cowboy Pac, with its narrower toe design, is built for use in a stirrup when needed. 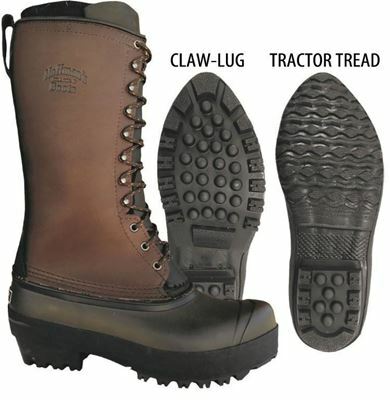 This rugged boot features your choice of two soles: our tractor tread outsole (which is a less aggressive at tracking debris) or the high-traction claw lug sole (with an aggressive outsole that offers outstanding grip on multiple terrains). 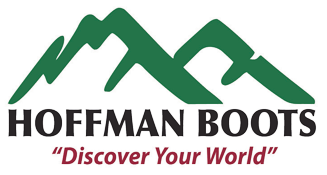 While other companies have lessened the quality of their boots or import their uppers, Hoffman’s handmakes every leather upper in our Kellogg, Idaho facility using only the finest 7-7 ½ oz. premium leather. Other features include a steel shank for arch support, a spur shelf to hold your spurs in place, triple-stitched uppers, and rebuildable hand-laid rubber bottoms. It is insulated with a 9mm felt liner for maximum warmth or a 400 gram Thinsulate liner, which may be substituted upon request. Made in Kellogg, Idaho. The Hoffman Lineman Felt Pac is the best climbing pac boot made in the USA. Constructed with an industrial grade rubber bottoms, our pacs resist cracking and premature rebuilds associated with other companies boots. This style of boot has been hand-crafted for over 30 years. 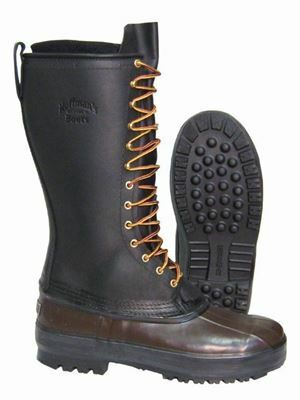 Within this time period, Hoffman's has perfected this boot to meet your every climbing need. If you need a warm, durable, climbing boot that will not let you down, try a pair today. Made in Kellogg, Idaho.